Have something to say? Anyone can submit a guest post to Modern Mormon Men. Just send us an email with your post, a post title and a paragraph of introduction (on yourself). Reed Soper was born and raised in southern California. He considered attending the Lord's University but opted for BYU instead where he met Kathryn Lynard doing his home teaching. They married in 1992 and have seven children. Friends and loved ones often describe Reed as "difficult" or "a slow learner." In his spare time, he likes (virgin) pina coladas and getting caught in the rain. Check out Reed's 2011 MMM Post of the Year. I am old enough that all my primary years were spent in the "pre-3-hour block" era (1)(2). Those days can be considered the "salad days" if you hate salad. What it meant was a weekly disruption in my post-school afternoon cartoon watching (3), a 30-minute drive to the church, about an hour-and-a-half of music and religious instruction, followed by a return 30-minute trip home. As a child, much like now, I was entertained by shiny objects, blinking lights, explosions and firearms. Sadly, primary lacked all of these. The trauma of it all has repressed but a few memories and I would like to share those with you today. Primary always began with some music instruction and an opportunity to sing to children who were visiting and those who had birthdays. During most of my primary years, I had nodules on my vocal chords. This resulted in my voice being raspy and hoarse. These nodules were like calluses that had been formed from overuse. I (well really it was my mom because I was 8) was given a couple of options for dealing with this. One was surgery to remove them and the other was for me to talk quietly and sparingly. The surgery option was frowned upon for a few reasons. The biggest reason was that it would cost money. The next biggest reason is that the surgery tended to only temporarily resolve the problem. So we went with the quiet boy option. A third option was to ignore it and have an awesome raspy, hoarse sounding voice forever (4). I, like most young boys, used this diagnosis purely to my advantage. 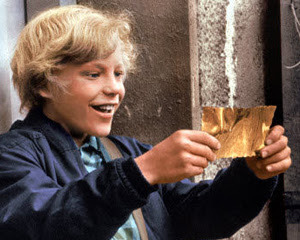 I maintained my big mouth throughout most of my usual activities (and do so to this day) but when it came to singing time, I had a golden ticket. I didn't have to wish the birthday children a very happy day from me to them or welcome visitors with song. I also didn't have to learn or practice any of the primary songs that we might be singing in a future sacrament meeting. Do not fear, intrepid reader, this excuse has not left me wondering what color the little purple pansies were dressed with (yellow-gold), or how often the little stream gives (all the day). The excuse did, however, provide me with opportunities to let my mind wander. My wandering mind often went to shiny objects and blinking lights, but mostly it went to explosions and firearms. Some people may point to the day they got their first CTR ring as their clearest primary memory; mine was envisioning a way to install a bb-gun in the chapel that could be fired remotely using a series of pulleys and some fishing line. I don't believe my intentions were homicidal -- I think I was mostly looking for a way to entertain and challenge myself with the possibility of primary ending early and me being freed to resume cartoon watching. The bb gun would be installed on the ledge over the side pews, next to the multi-colored louvered windows that were never opened (5). The trigger would be pulled by fishing line -- with a knot tight enough to pull the trigger once but would then release so I could gather the line in and dispose of it in the heating vent in the floor. The bb gun would be aimed near where the song leading lady would always stand so that it would miss her but serve as a warning shot. The police or primary president would easily find the bb gun, but would have no clue as to who might have been the trigger man . Each week, I would refine my plan. Sure there were some flaws -- I had no bb gun and if I did, I certainly wouldn't want to give it up just to get out of primary early one week. Another glaring problem was logistics -- how would I get in the church and install my work of terror? I chose to not let those details bother me and reveled in my plan. Sadly, like most good things in life, this eventually ended. The "nodule" scare died down and I was forced back into the ranks of the singing proletariat. We also moved into a new building that lacked the architectural eccentricities that would allow for a good meeting ending scheme. Despite this, there were many Sundays then (and now) when a high councilor would go on a little too long, or a testimony bearer would morphinto "stream of consciousness" mode that I long for a bb gun, an intricate pulley system, and some fishing line. (1) Also known as the completely unenlightened era. (2)This fact may also disqualify me from being a "modern" Mormon man, if so, would the editors please send a letter to my attorney via registered mail requesting the return of my decoder ring, name badge, and all other appurtenances associated with being an MMM. (3) Mighty Mouse and Heckle & Jeckle aren't going to watch themselves. (4) Had we gone with option three, I honestly believe my dream of being the singer in a Tom Waits cover band could have been realized. (5) This was an "old-school" building that did not have the regular floor plan of most buildings today. (7) I think I was a "Targeteer" at the time but I believe that to be purely coincidental.